CRERAYS is useful to CRE tenants, tenant representatives, CRE agents, brokers, and property managers. 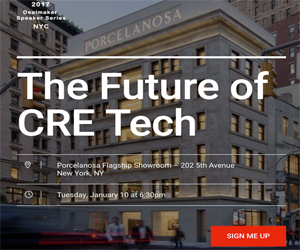 Potential CRE tenants enter their desired location, property type, and attributes. It’s free to submit a property request. When a proposal is ready, the tenant receives an alert. Log in to review the property details, customer reviews, and the manager’s profile. Tenants compare multiple responses in their inbox before deciding to follow-up. Any agreements made are between the tenant and the landlord. CRERAYS simply is the connection agent. For real estate professionals, CRERAYS sends notification of a potential prospect with their detailed requirements. If it appears based on the tenant’s data that a commercial space is a match, write the real estate agent or manager can craft a personal introduction and send the client a property proposal with their active listings. The client responds if interested or the real estate professional follow-up using the submitted contact information. CRERAYS allows professionals to work out the leasing details one-on-one and close the deal on their terms. There is no cost to receive lead notifications, just to send the introduction and property proposal. CRERAYS is designed to be an easy-to-use system that cuts down on the busy work of commercial real prospecting. Calling, emailing, and tracking contacts with potential property managers and agents is a time consuming process. On the flip side, so is responding to unqualified inquiries. CRERAYS aims to save both parties time and effort by playing match-finder for the right commercial real estate property. Learn more about CRERAYS by visiting their website here.